Wood Group Pratt & Whitney Industrial Turbine Services L.L.C. Wood Group Pratt & Whitney has the tooling, equipment, and trained personnel to perform removal and installation on all major components and modules. In many cases, engines and equipment can be repaired in the field, saving valuable downtime. Wood Group Pratt & Whitney provides advisory technical services and instruction to enable client personnel to complete hot section inspection/repair operations. borescope evaluation of the compressor and turbine sections allows the customer to benchmark equipment serviceability. Wood Group Pratt & Whitney recommends annual full functional checkout, calibration, test, and adjustment of all engine/free turbine control and protective devices to ensure maximum reliability and proper function. 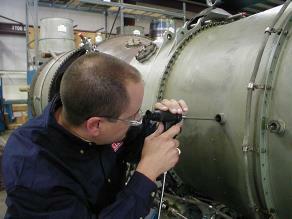 Wood Group Pratt & Whitney can supply all necessary tooling and instrumentation to perform audits.